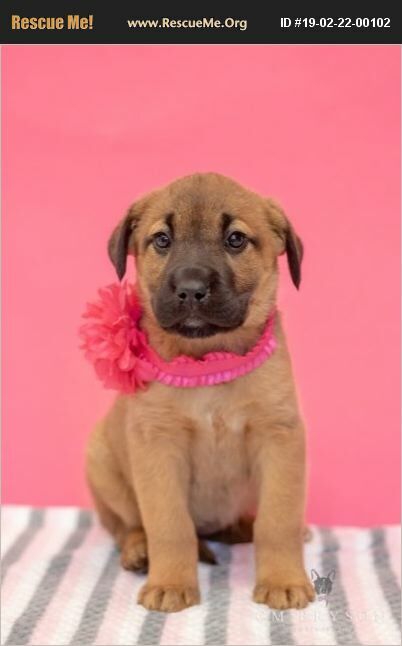 Amaretto Shepherd/Boxer Mix Estimated DOB: 12/4/2018 Female Adoption Fee $200 Hi! My name is Amaretto. I am a super sweet little girl, but I'm a little shy and timid. I love to be held and snuggled. I instantly love anyone that holds and cuddles me. I am looking for my forever family to grow up with. I should do well in just about any family. If you are looking to add a sweet, adorable, people loving cuddle bug to your family, I am the one!